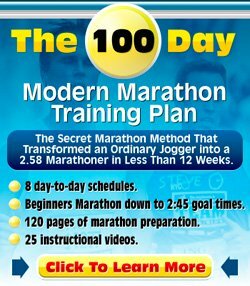 I'm 60yrs old and I'm trying to start a small running program. I'm running on a treadmill and I'm trying to run (jog) a minute then walk a minute. But after the first/second cycle, my chest starts to burn and the back of my legs feels tight. Is this normal? I do yoga, and I do walk. Thank you for your running question and great to hear you are picking up running. I think the approach your taking with running a minute / walking a minute is a good one. This is what I always advocate people should do when they start running. It is hard to tell what the burning in your chest is. It could just be because you are running out of breath. If it is that then it would be overcome by just keeping with the program and building up your stamina over time. It could be something more serious as well. Your calves tightening up sounds like a little less of a concern, this probably really just has to do with getting used to running. As your issues are a bit too hard to diagnose via the net I would really advise you to talk to your physician about your fitness program, which is also prudent given your higher age. Hope to have been of some help.